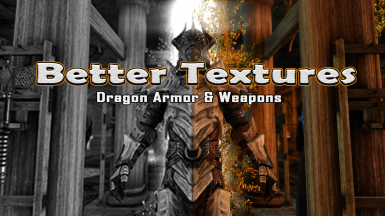 Adds new textures for Dragon Armor and Weapons in real 2K. Makes them pure and detailed. -Added MIP maps. So there will no longer be a grit effect when you stand or move the camera. Notice: I didn't add any new textures in this update, but I have made so many changes. And I think now it has become much better. 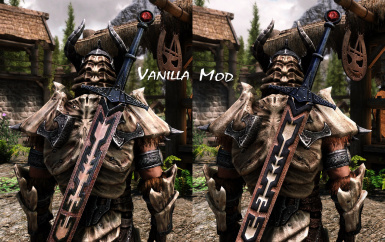 This mod adds new textures and normal maps for Dragonplate Armor and Dragonbone Weapons. Also increases resolution to 2K. 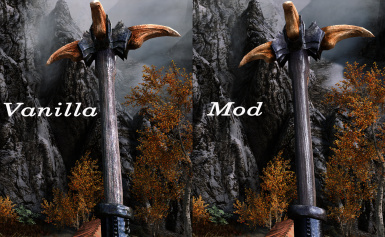 This mod doesn't add any script and doesn't change something in game, just textures and normal maps. You can instal\uninstall whenever you want. If you want this scabbard like on screen, you need to have LeanWolf's Better-Shaped Weapons﻿. 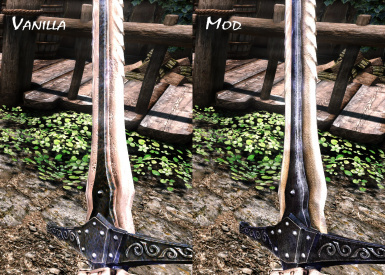 Also﻿﻿ if you use The Amazing World of Bikini Armor﻿ my mod will change the textures of Dragon Bikini too. 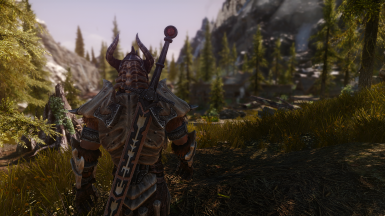 I hope you will enjoy my mod! Thank you!